Network Backup is available in v7. 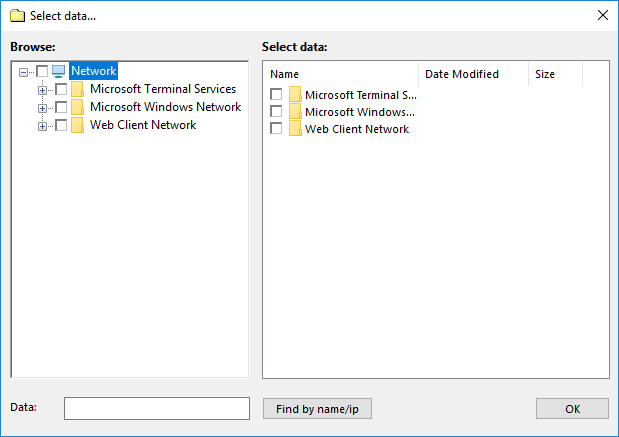 By default, you can make a backup of the objects for two types of Windows networks - Microsoft Windows Terminal Server and Microsoft Windows Network. Microsoft Windows Terminal Server (presented in Microsoft Windows Server) provides computer’s resources (memory, disk space) for various tasks. Technically, the terminal server is a very powerful computer (or cluster) connected on a network with terminal clients (for remote maintenance via user desktops). 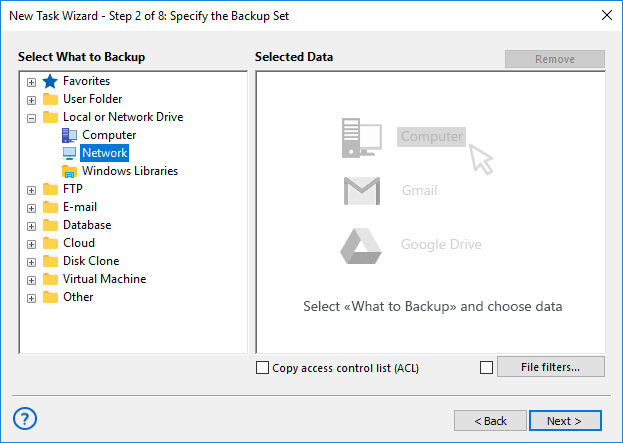 Backup of Microsoft Windows Network is a built-in Windows network-based connection to the necessary objects. 1. Select the Backup task in New Task Wizard. 2. Select Network option in the Local or network drive group on Step 2 of the New Task Wizard. Click on it to add Network to backup set. 4. Select backup destination and set up other parameters.